Please help with this probability related math problem. This should be simple for many people. It seems I've been out of a math class for too long. 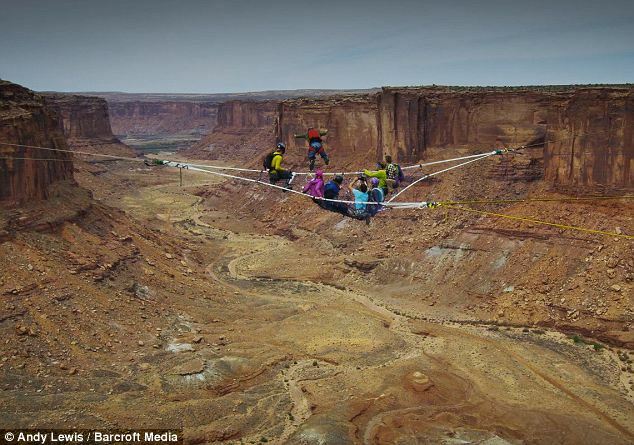 "Two teams of rock climbers are each setting up a system of anchors on a cliff. Team A's system consists of three anchor points, where the failure of any one of the three points results in the catastrophic failure of the entire system. Team B's system consists of five anchor points, where failure of any two of the five points results in the catastrophic failture of the entire system. Assuming all anchor points have an equal chance of failing during the duration of the exercise, which team's system is safer, and by how much?" A's result of 7/8 is 14/16, so A has the worse chance of failure vs B with 13/16. The probability of an anchor point failing is p. A will fail if any of those fail. The probability that none of them fail is just the probability of one of them not failing multipled by itself 3 times. I think it depends on the probability that an anchor point fails. Each of the outcomes EndsOfInvention details are not equally likely--certainly a single anchor is more likely to fail than all five. The answer to this question really depends on the probability of a single anchor point's failure. Let p be the probability that a single anchor point fails. The system will not fail (or will hold) if all anchor points hold or if only one anchor point fails. The chance of all anchor points holding is similar to the case above and is (1-p)^5. The chance of one anchor point failing and all others holding is 5_C_1*(1-p)^4*p (since we need to choose 1 anchor point to fail out of 5, then we have (1-p)^4 for the chance of 4 anchor points holding and p for the 1 anchor point that fails). Since these two possibilities for Team B's system holding are mutually exclusive, the probability overall the Team B's system holds is (1-p)^5 + 5*(1-p)^4*p.
Solving for p we get p = 0.609 -- this implies that when the probability of failure of a single anchor point is 0.609 the two systems are equally safe. When p > 0.609, Team A's system is safer. On preview, EndsofInvention's answer assumes that all those outcomes have the same probability (which is not the case). In other words, either peacheater or I goofed because we solved the same quadratic. Then (1-p)^2+5*p(1-p)-1=p^2-2p+1+5p-p^2-1 is not correct (the RHS should be p^2-2p+1+5p-5p^2-1). This means that the p^2 terms do not cancel. So p=3/4. I agree with Hoyland. Peacheater, I don't think theres any problem with the inequality step, but I lost that 5 making my conclusion wrong. I agree with Hoyland too, I goofed when solving the quadratic. Team B is safer when p < 3/4. oh wait, no it should be less than or equal to. Jesus my brain today.... It';s my fault for trying to do this in a browser rather than with pen and paper.